Patricia Smith, lauded by critics as “a testament to the power of words to change lives,” is the author of four acclaimed poetry volumes—“Teahouse of the Almighty” (a 2005 National Poetry Series selection and winner of the 2007 Paterson Poetry Prize), “Close to Death,” “Life According to Motown” and “Big Towns, Big Talk.” A new book, “Blood Dazzler,” poems chronicling the devastation wreaked by Hurricane Katrina, will be released by Coffee House Press next year. A four-time individual champion on the National Poetry Slam—the most successful slammer in the competition’s history–Smith has also been a featured poet on HBO’s Def Poetry Jam and has performed three one-woman plays, one produced by Nobel Prize winner Derek Walcott. 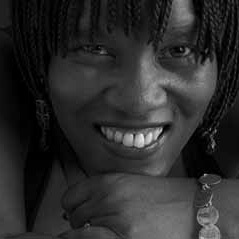 In addition to her poetic works, Smith is also the author of “Africans in America,” a companion volume to the groundbreaking PBS documentary; Smith is currently at work on “Fixed on a Furious Star,” a biography of Harriet Tubman, and, in addition to the upcoming new poetry volume, a young adult novel, “The Journey of Willie J.” She has served as a Cave Canem faculty member, a Bruce McEver Visiting Chair in Writing at Georgia Tech University, and writer-in-residence at the Eugene O’Neill Theater Center. In 2006, during a ceremony at Chicago State University’s Gwendolyn Brooks Center, Smith was inducted into the National Literary Hall of Fame for Writers of African Descent.